Shangaa Creations is a mother and daughter hand crafting business outfit that started in Uganda in 2009 after observing the monotony of the jewellery available in Kampala by the founders. Nyandia Nderitu (mother) and Natasha Njeri’s (daughter) business focuses on modern and contemporary African jewellery, made with natural materials like stone, camel and cow bone, wood, glass, leather, sea shells porcupine quills to mention but a few. Distinctive and unique, the Shangaa pieces speak for the one of a kind style. Nyandia and Natasha also make home decor items from eco-friendly and recycled materials. The mother and daughter creators of Shangaa creations, Nyandia Deritu and Natasha Njeri. 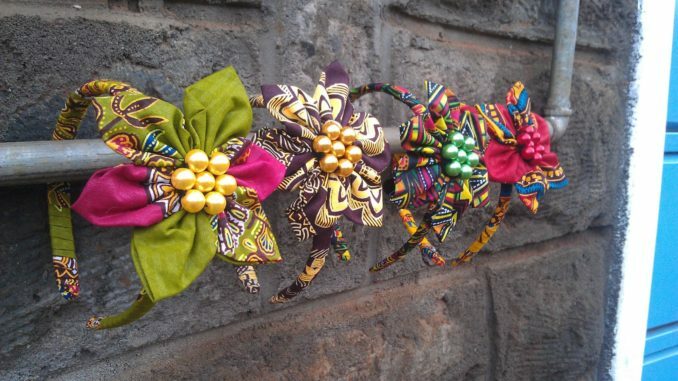 We caught up with Nyandia, co-owner of Shangaa Creations to tell us a bit more about their creations. EA: On average, how much do the pieces go for? Nyandia: The necklaces go for between 800 and 3000Kshs and home decor items from 500 to 5000. EA: In these hard economic times, is the business profitable? Nyandia: Yes it is profitable. EA: What’s your message for small businesses? Nyandia: Don’t wait for big money, start small, make unique items and whatever you do, do not compromise on quality. EA: What’s your view on female empowerment? Nyandia: Education is important, very important. However, not all young women can be doctors, neurologists or aeronautical engineers. Parents should encourage talent and society should embrace talented young women and not make them feel worthless because they are not in the more ‘acceptable’ professions. EA: What’s your description of a Kenyan woman? Nyandia: Kenyan women are as diverse as our beautiful country. It would be impossible to put a blanket description. One thing that I can say however, is that Kenyan women are becoming less and less dependant on men. They are heading a lot of families because alcoholism is a major problem in this country. Shangaa is a Swahili word which means amaze and like the name, Shangaa Creation continue to create, evolve and design timeless pieces for your satisfaction. Shangaa Creation is based in Kenya and formore on their timeless pieces, visit their Facebook and Instagram pages.